Your car needs clean oil to function, plain and simple. Oil functions as the lifeblood of your car and often times your oil becomes dirty and contaminated as you drive. This is where an oil change becomes a necessary part of your routine maintenance. It is important to know that oil is what lubricates the entirety of your engine. Without clean and fresh conventional or synthetic oil, your car can experience a great number of ailments. The oil in your car courses through the engine to keep it lubricated and moving freely, as oil ages it thickens and gets filled with dirt, debris, and even metal shavings from the inside of the engine. This means that the oil is no longer going to be as effective and may end up causing more damage to the engine. If your car runs out of oil, it can do terrible things to your engine. A fully synthetic oil change is going to last longer than a normal oil change for a few different reasons. For starters, the synthetic oil is less likely to thicken and lose volume which means that it can lubricate your engine for longer. This means that you can go further, typically this type of oil change is going to last for 5,000 miles or 6 months as opposed to the typical 3,000 miles or 3 months. This is a necessary service and opting for synthetic oil rather than traditional oil can allow you to go longer without an oil change. Delaying an oil change can often lead to an engine that locks up. Once your engine is locked up there is nothing that you can do to unlock it and get it running again in most cases so you are going to have to get a new engine entirely. Getting your oil changed is simple, fast, and good for your car and can make a huge difference in the way it drives and functions. If you are nearing time for your oil change, you should take the time to get it changed quickly. 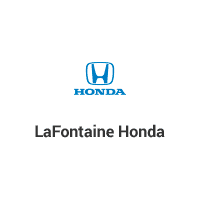 Why Choose LaFontaine Honda Service Center? LaFontaine Honda offers a range of amenities and has a team that is highly skilled and experienced and ready to get your car road ready again. They offer a courtesy inspection, honor all competitor coupons, and are going to get your car back on the road faster than other dealerships.